If you're looking for a healthier snack for your kids, try Happy Baby's Happy Puffs. 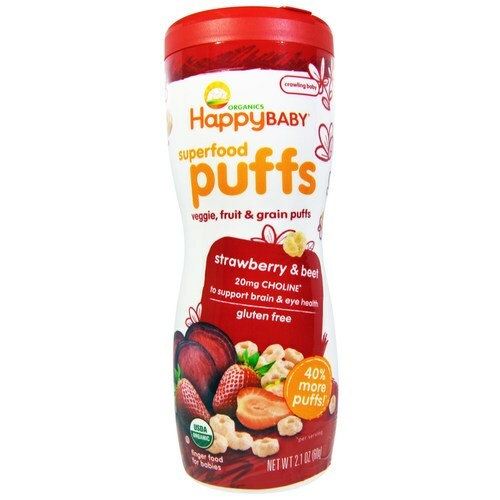 Happy Baby's Happy Puffs are made with 100 percent fruit juice and are a great source of vitamins and minerals. They come in an easy-to-hold container that encourages self feeding and Happy Puffs melt in you baby's mouth so you won't have to worry about choking. With three great flavors, your baby will enjoy every bite packed with vitamins, minerals and other valuable nutrients. Happy Baby makes it easier to choose better snack options for your little one. Get their Happy Puffs at eVitamins now and save more! Advertências: It is always safest to supervise a child that is eating. Notas: USDA Certified Organic. 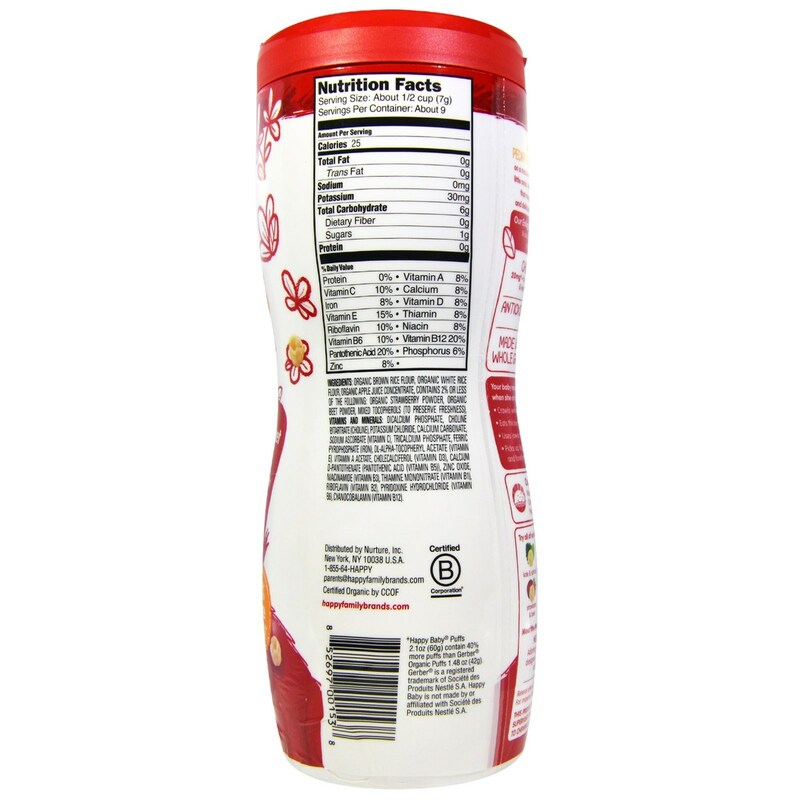 Contains no GMOs, gluten, artificial flavors, dairy, corn, soy or wheat. Made in the USA. Use within one week of opening for optimal freshness. Recomendações de uso: Have your little one enjoy 75 pieces or about 1/2 cup as a healthy snack. Happy Baby Avaliações de Clientes.